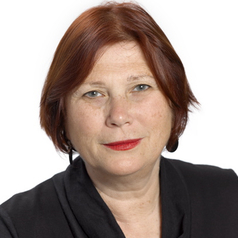 Professor Kathy Laster is Director of the Sir Zelman Cowen Centre at Victoria University.The Centre provides law and law related training and education to the legal profession in Australia and internationally as well as for other professionals seeking a better understanding of law, governance and regulation. The Centre is the leading provider of both Migration Agents education in Australia. Kathy has taught and written widely on the history of crime and punishment, criminal law and procedure, gender and crime and multiculturalism and the law. As well as her academic career, Kathy has worked in public policy and also held leadership roles in not-for-profit organisations including as Executive Director of the Victoria Law Foundation and CEO of the Institute of Public Administration. Kathy currently serves on the Board of AMES the main Victorian agency providing settlement support and assistance to newly arrived migrant communities.